As a Leader in Me (c) school, we have incorporated a leadership homeroom for about half an hour each day. 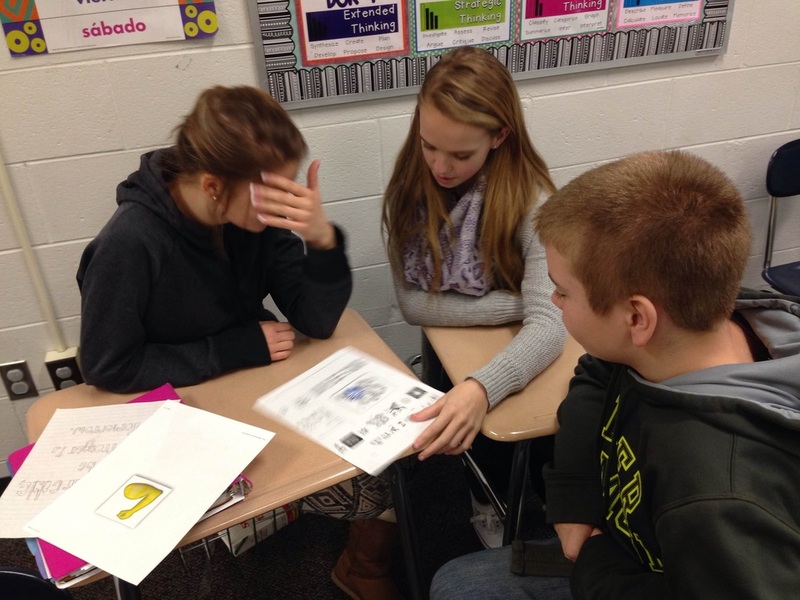 Students are taught the 7 Habits through discussions, videos and hands-on projects. While I incorporate many leadership lessons and procedures into my daily classes, these are some of the lessons I teach specifically during my leadership homeroom. As part of the curriculum committee, I have been working to create a database of leadership lessons that support lessons from The Leader in Me materials and to spark student interest. View the website here . I developed an outline of the different leadership activities that teachers and students would do each week. Below is my outline for 7th grade. Students decide at the beginning of the year what big goals they hope to accomplish as a class by the end of the school year. About once a week, students meet with their action teams to work toward their goal, deciding what steps are important to take during each class period. 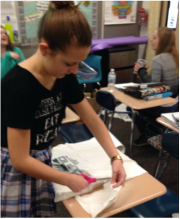 A student working on up-cycling old t-shirts to create dog toys for a local animal shelter. 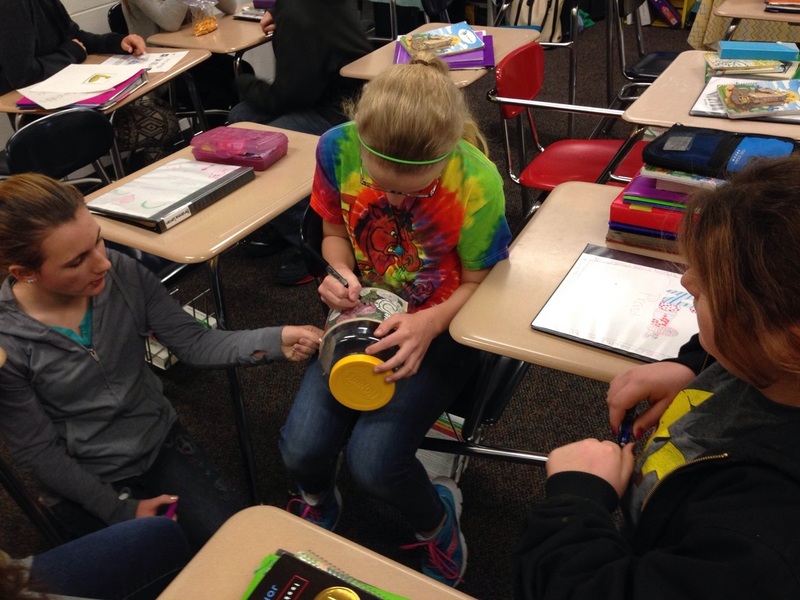 Students creating the change jar to save an animal through the World Wildlife Foundation. Students designing our door to include our classroom mission statement.